Shadow Kingdom Records is proud to announce the Grandfathers of US Epic Heavy Metal band MANILLA ROAD. This is their 5th album, which was originally released in 1986. They had just starting inserting some METALLICA influence into their classic sound on the previous album "Open The Gates". So coming into this album is a little more sped up from their last effort. Their roots were mostly a hybrid mix of mostly RUSH, JUDAS PRIEST, IRON MAIDEN, and HAWKWIND. 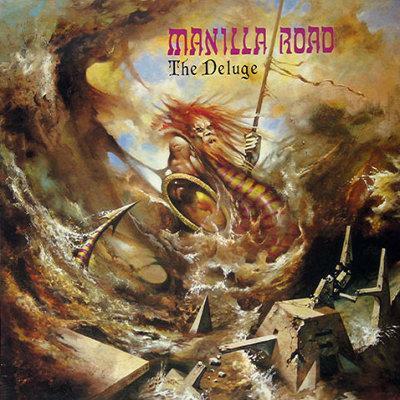 This album is classic MANILLA ROAD and I'm sure if they would have been picked up by a bigger label, this album would have been the one to put them on the map and receive the recognition they deserved in their home land (USA). This is a pretty dark album as a whole and a great mix of Epic/Adventurous and Speed. The music was pretty complex, arguably the most complex they wrote up until that point, but it still had the hooks that make up the real magic that is behind MANILLA ROAD.